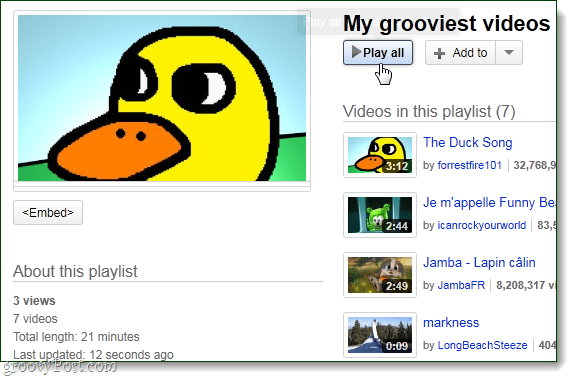 YouTube has a groovy feature that allows you to create lists of videos that you like. You can create as many lists as you want, and then add as many videos as you want to each one. 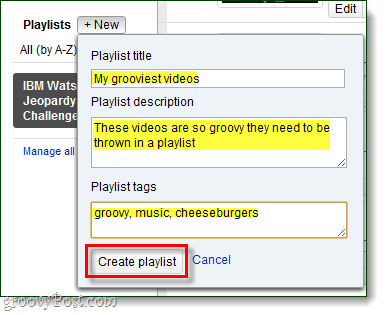 Creating a YouTube playlist is simple, and it’s easy to share with others. Since YouTube has been around for years and I never even tried using this feature until recently, I figured it was worth sharing the process of setting it up for those who also have never made a playlist before. 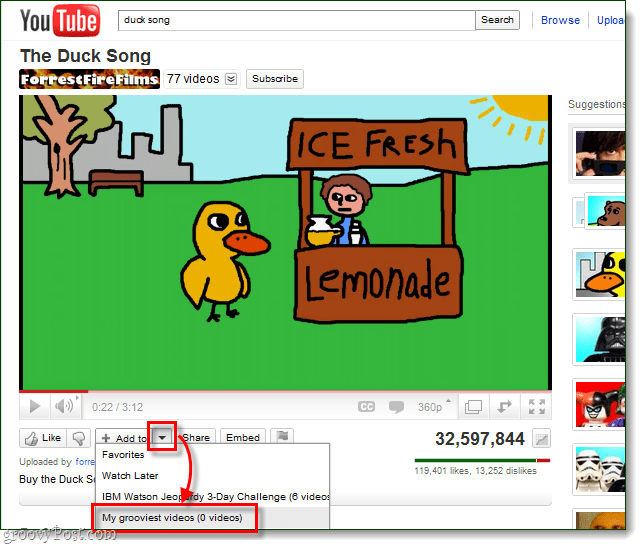 There’s two different ways to create a new YouTube playlist. 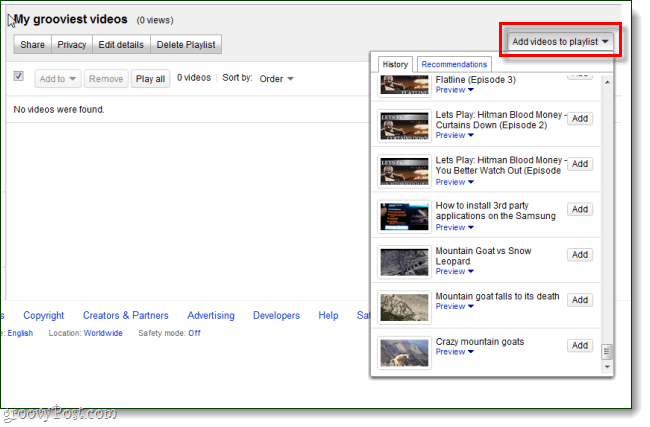 Method 1: One way is from the “Add to” menu that appears next to (and below) all videos, even in the search and “Related videos” fields. From the Video & Playlists page just Click the +New button next to Playlists. A smaller in-window pop-up will appear and let you enter your playlist details; don’t worry about messing these up, you can change them later if you need to. Now that the playlist exists, you can start adding videos –and there are A LOT of different ways to do that. We’ll go over a few. On the Playlist management page you can add videos from your history of viewing to your playlist, and there is also a recommendation engine on the tab next to it. 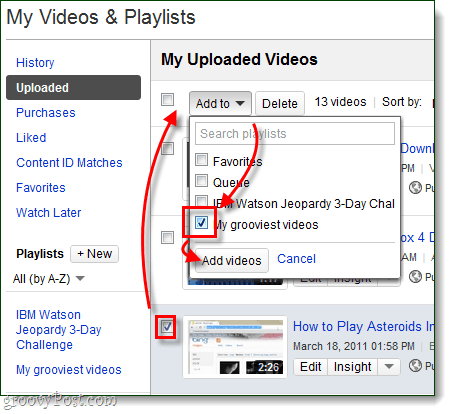 If you’ve uploaded videos to YouTube, you can add them to your Playlist. The main way to add videos is from the page of the video itself. Below every YouTube video you’ll find an “Add to” button. 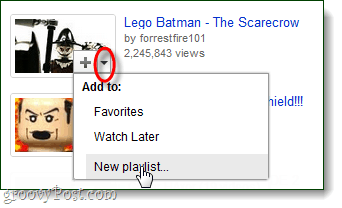 Click the down arrow next to this button, and then Select your Playlist. 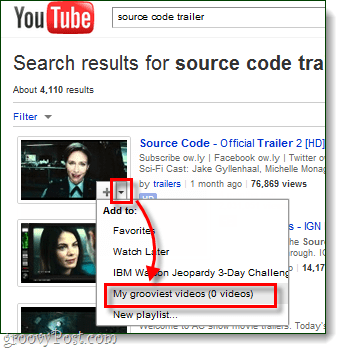 The “Add to” “+” button will also show up on related videos and search results. 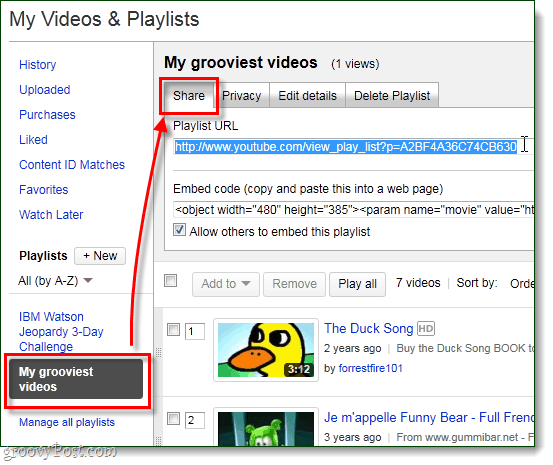 The easiest way to share videos is to visit the Playlist management page and then Click the Share button at the top. This will make a share menu appear that gives you the URL for the playlist, and also the embed code for placing the entire playlist into a website (example here). 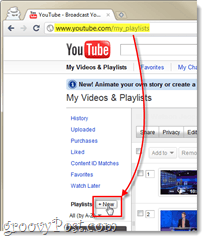 From the playlist’s URL YouTube automatically generates a custom page for the playlist itself. From here you can Play All videos, or Add the entire playlist to a different playlist. YouTube playlists are handy for keeping track of videos that you like, and now you know the in’s and out’s of making them. 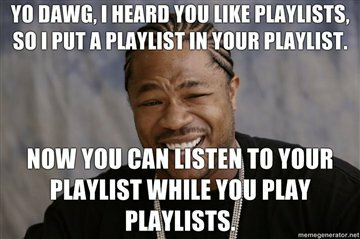 I see playlists best being used for managing favorites, connecting a series of videos, or creating a track list of music. How do you use YouTube playlists? We’d love to hear your ideas and methods in the comments below! Great Post-thanks so much. Is there a way ( or default setting) for me to automatically have my playlist pull in my most recent video that I upload or always keep my top 10 most recent in the playlist? Thank you.